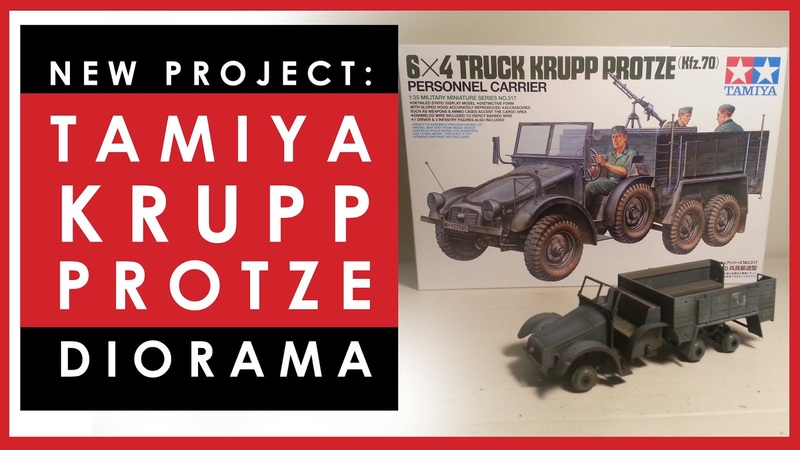 I've pulled the trigger and started my next modelling project: a diorama based around the venerable Tamiya Krupp Protze light truck. Although this box and the cargo and sitting figures are from a 2011 issue, the basic kit itself was first released in 1978. Nineteen-freaking-seventyeight. This kit is forty years old. I first built the Krupp Protze around 1985-1986, when I was a teenager, and I remember doing an absolutely terrible job on it. 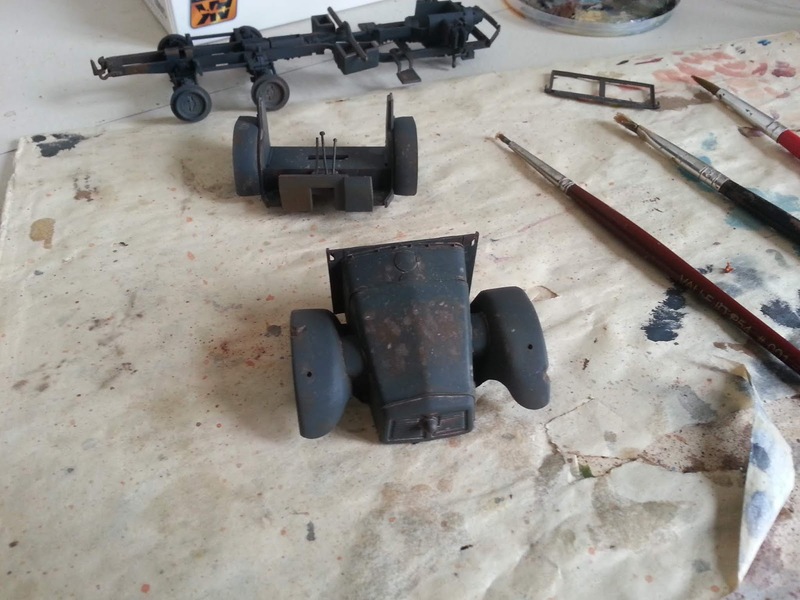 The suspension is rather over-complicated (not sure if that is Tamiya's faithful reproduction of German over-engineering, or just poor design by Tamiya) and I royally stuffed it up. My final build was pretty much held together by great dried globs of Humbrol cement. I'll pull that monstrosity out from storage and show you it in an upcoming video. This time around I'm a lot more methodical (and, ahem, about thirty years more experienced) and I'm proud to say I didn't stuff up the suspension. It's still tricky, if you don't pay attention it would still be very, very easy to put the wrong parts in or put the pieces in the wrong way around. Anyway, it's a blast to build something I remember so well from thirty years ago - I'm excited about my new video, and I hope you guys will enjoy seeing it come to life over the coming weeks and months. Rusting up that gorgeous sloping front bonnet. Hi Dave, you are making great progress. This is going to be a fun project. All the best, Robert.